Ohhhhh lawrdy is it hot or what!? You know what I wanted this week more than anything?! A big glass of Autumn with a sweater and a HOT pumpkin spice latte. Then I was like “Elizabeth, summer is your time, you need to pull it together and remember how much you love it”. I gave myself a mental slap, put a sun dress on and ate a peach. So I snapped out of it and realized that it’s only this warm and delicious for another month or two. ALSO stone fruit. Stone fruit this delicious and juicy is only around for a short while. I think I have been in a stone fruit rut or something! It’s all I bake with lately. Two peach crisps alone happened last week. It’s beginning to be an obsession. 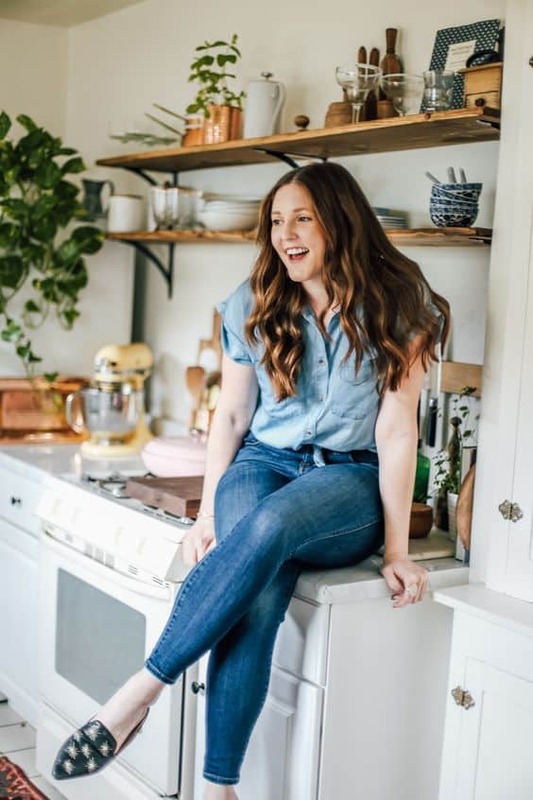 Here on The Whisking Kitchen I do a TON of pie recipes but I thought I would switch it up a little and go with a tart, a GLUTEN FREE tart let alone :)! I was a little hesitant to play around with different flours but almond was wonderful! Something about the almond flour crust and a scoop of vanilla beach ice cream swirled together with roasted fruit is SO decadent! I used apricots but any other stone fruit will work too. Also, to get a gorgeous design all you have to do is assemble your fruit slices in a clockwise motion. THATS IT. Just go around and around and around till you reach the middle. 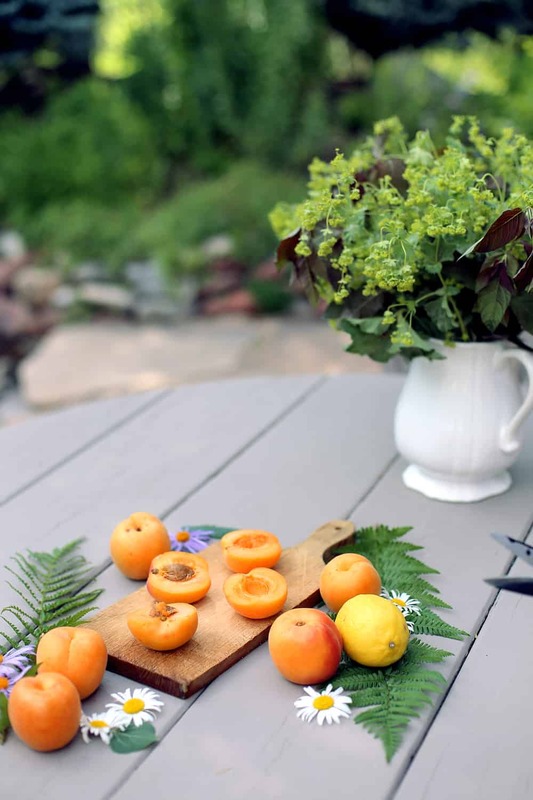 Stone fruit is pretty pliable and helps create such an effortless look. This recipe is featured on MyMagazine’s Mid Summer issue. 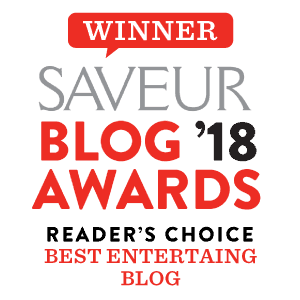 You can find the feature (on page 162!) and the rest of the magazine HERE! Preheat oven to 375 degrees. In a large bowl combine almond flour, melted butter, organic sugar and salt until the mixture is course. This crust should resemble a graham cracker crust. Press mixture evenly into a tart pan. Bake for 25-30 minutes or until the crust is just golden. Let cool for 10-15 minutes, before adding fruit. 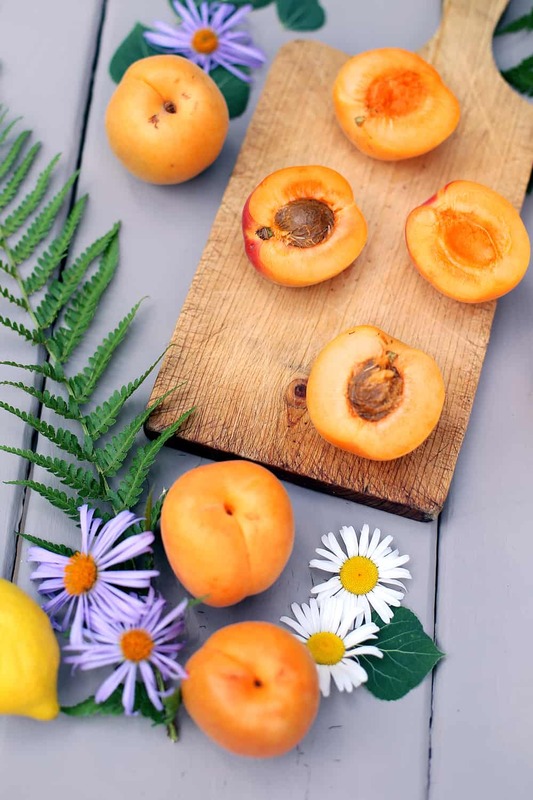 Slice apricots into thin slices and mix with sugar, vanilla extract, cinnamon, salt and lemon juice. Let fruit slices macerate for 10-15 minutes. 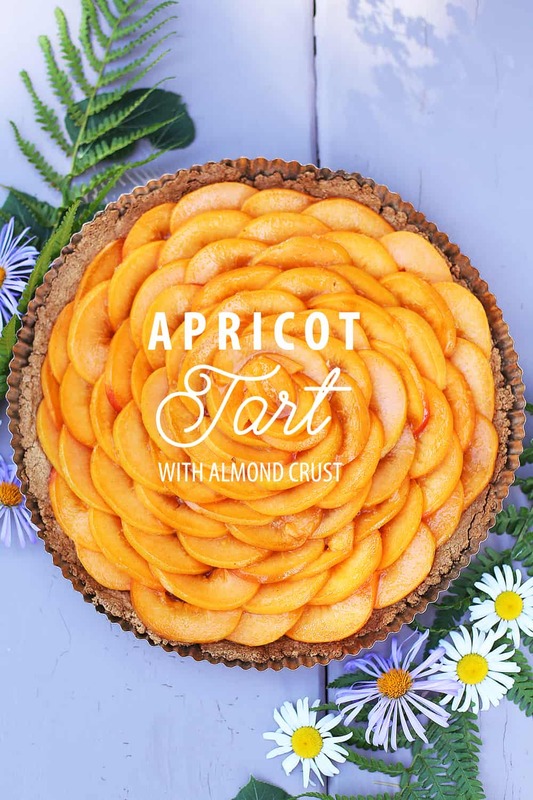 Arrange apricot slices in cooled tart shell in a circular rotation. 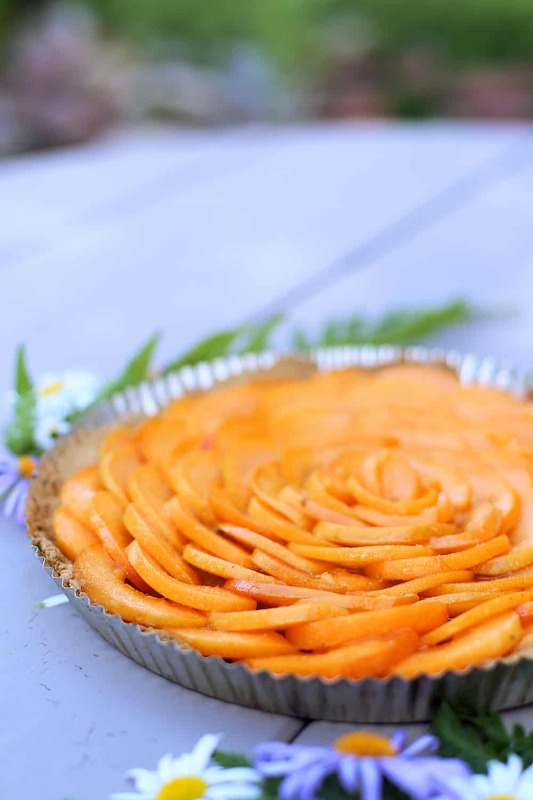 Return to oven for an additional 15-20 minutes or until apricot slices have softened but not burned. Keep a close eye. Let cool for 30 minutes and serve with vanilla ice cream.